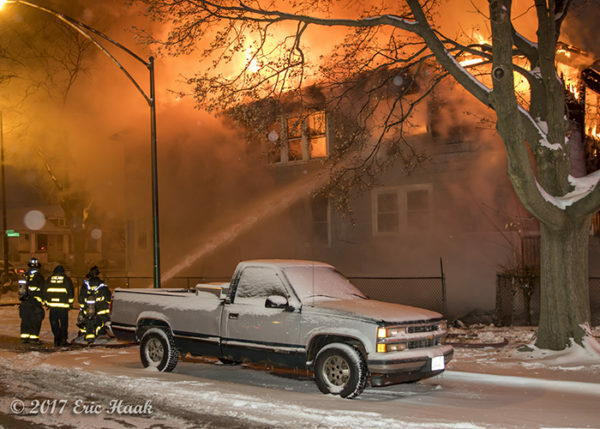 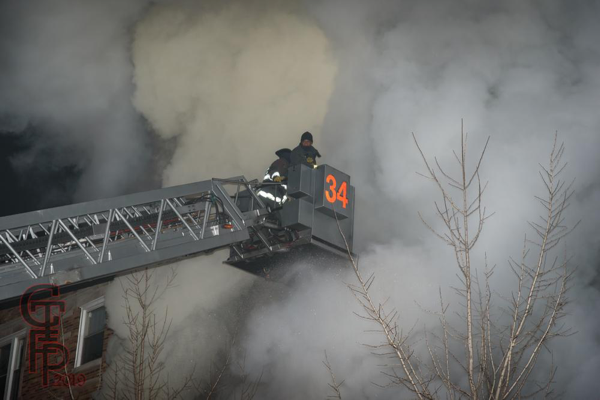 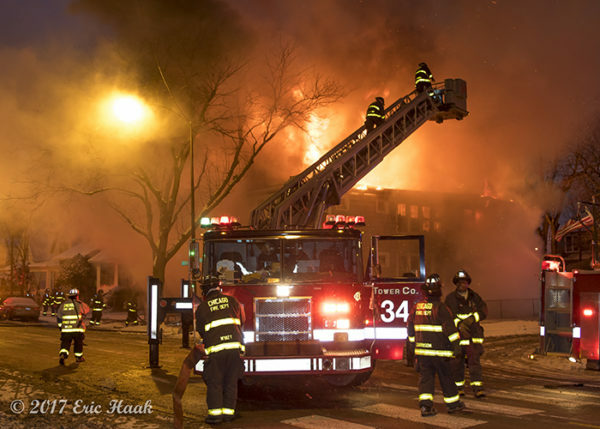 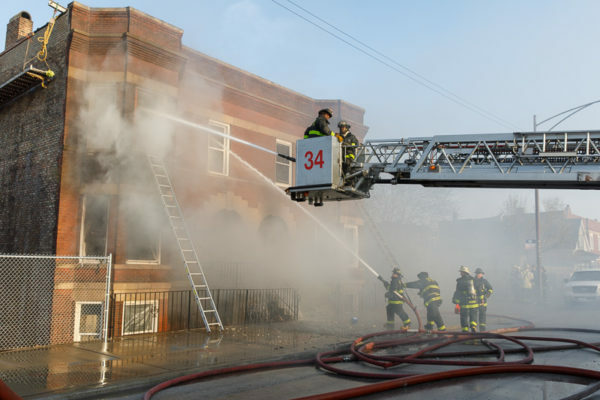 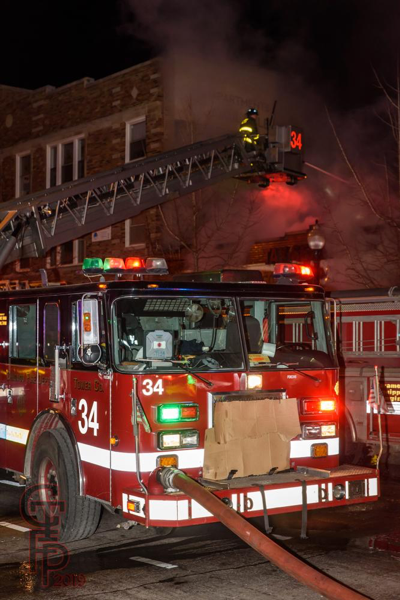 Chicago’s Battalion 19 and companies had a very busy day on the 9th of February. 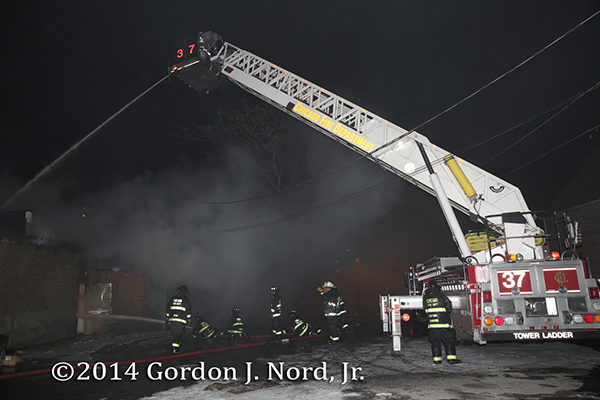 This was their third fire of the day @ 207 E 71st Street. 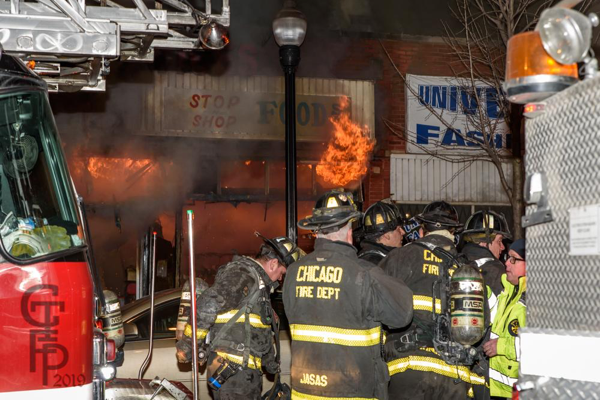 Fire throughout a 75×75 storefront. 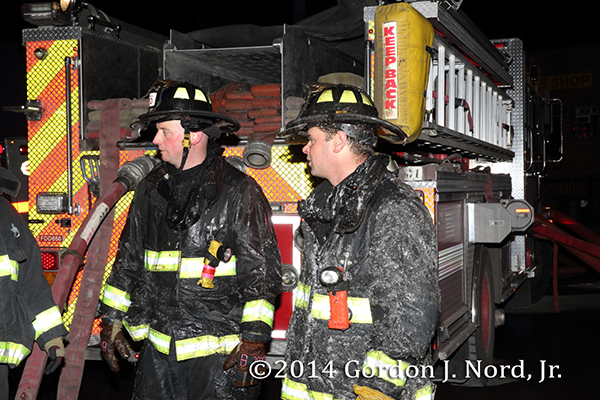 Four 2.5” landlines were dropped and Squad 5 was put to work. 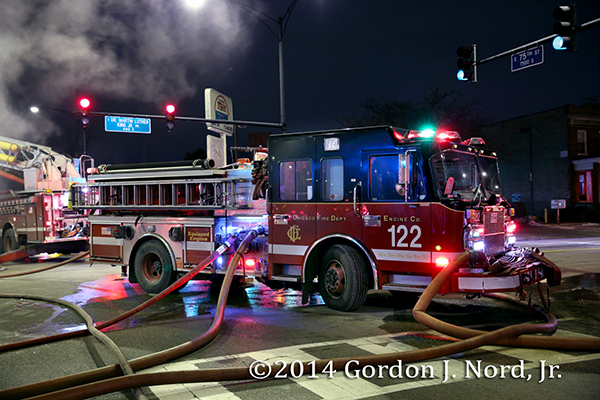 Shortly thereafter, BC19 pulled a box and put Tower 34 to work in the front of the building. 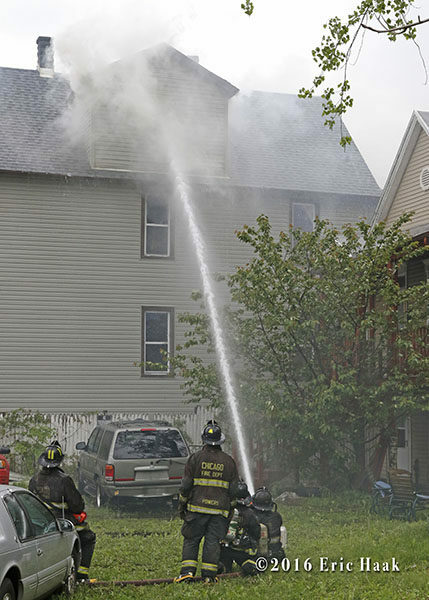 I got in there about 30 min into the fire. 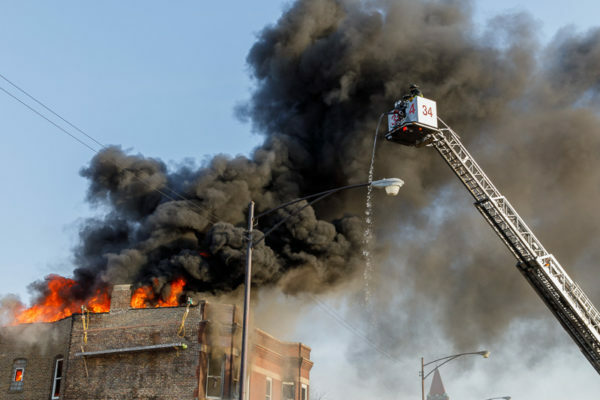 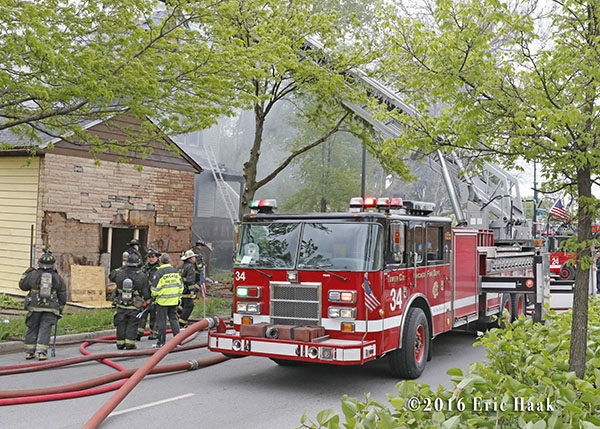 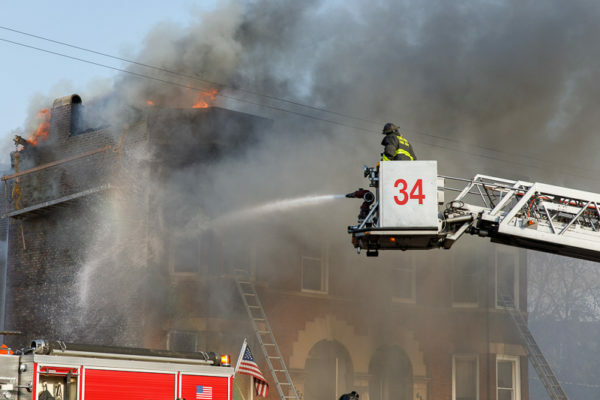 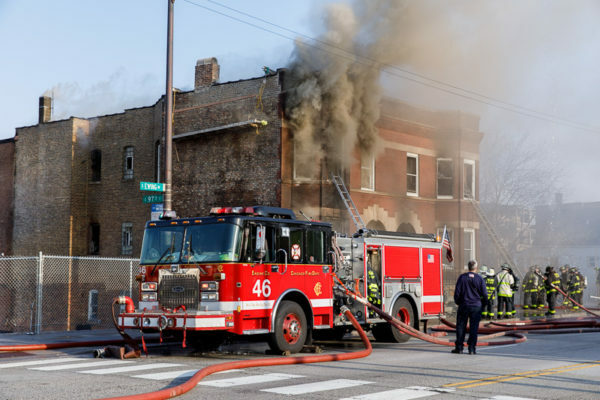 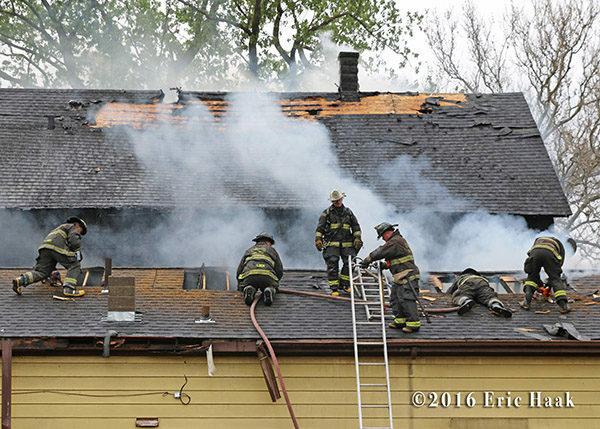 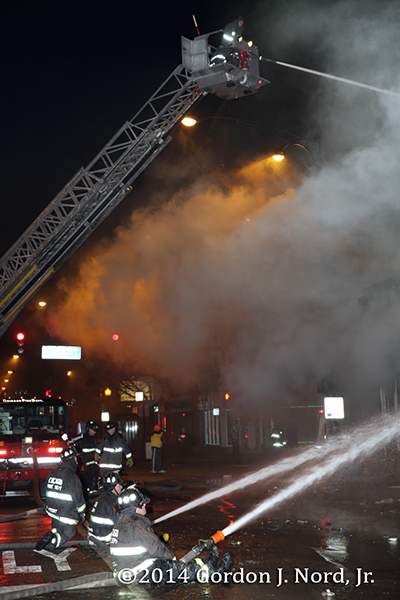 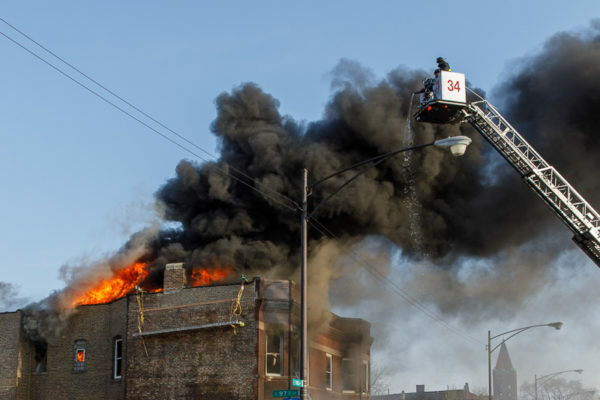 Here are some images of a fire that Chicago had at 118th and Halsted at 0900 hrs on Saturday morning (5/14). 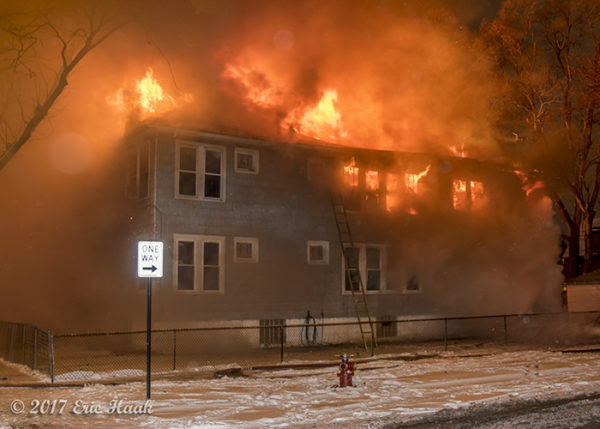 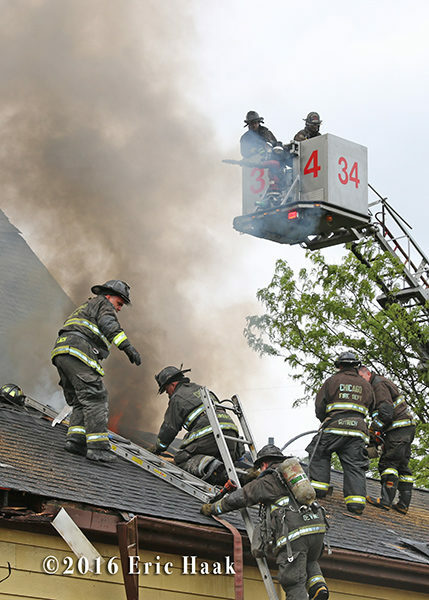 There was heavy fire from the 2.5-story frame on arrival and the fire was boxed within a minute of the first companies landing. 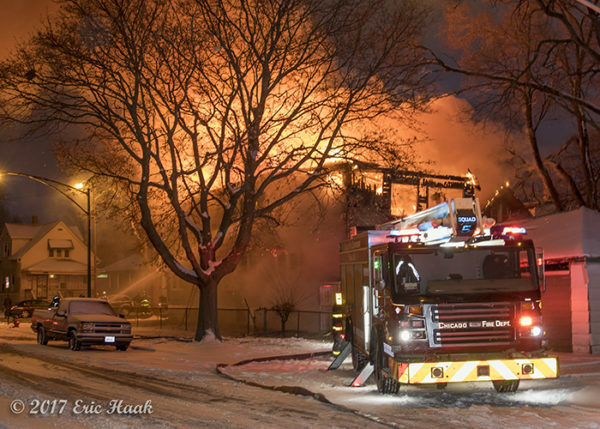 These views were taken over a half hour in. 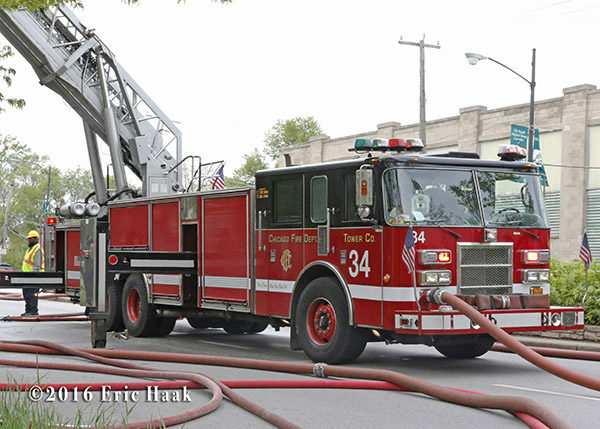 Most of the fire was knocked down but I did get an opportunity to shoot the newly numbered Tower Ladder 34. 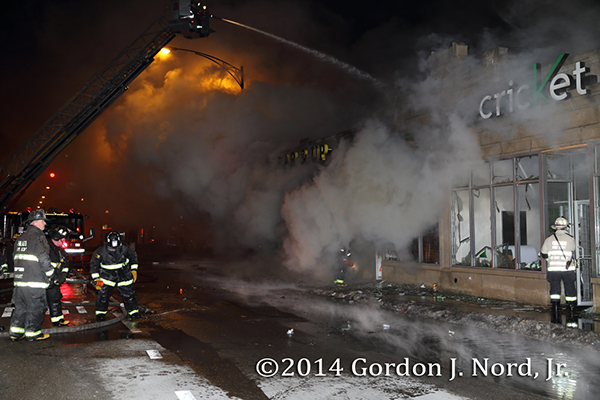 Lighting and rig positioning were not optimal but good enough. 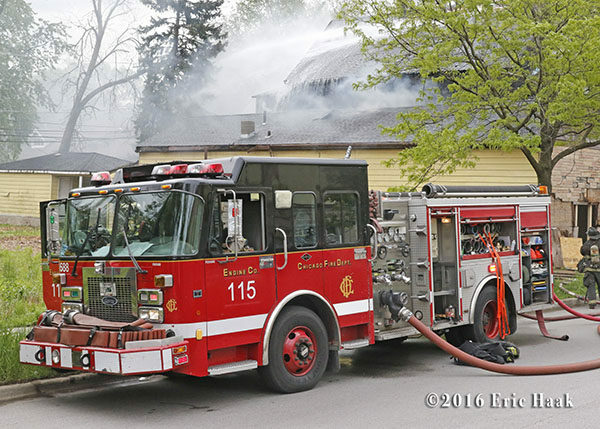 It had also been a while since I had seen Engine 115 who are now apparently in a newly numbered spare. 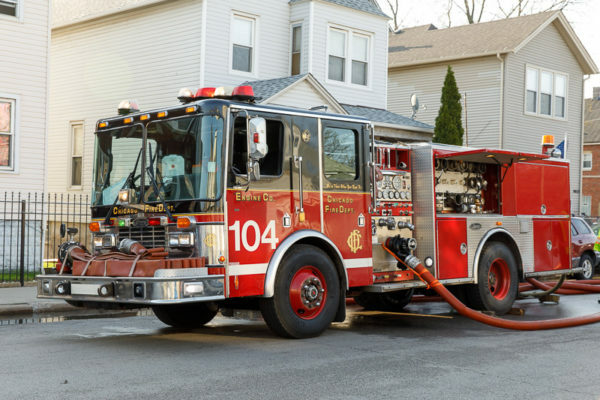 You can see the numbering on 115’s door is not nearly as big as a normal rig. 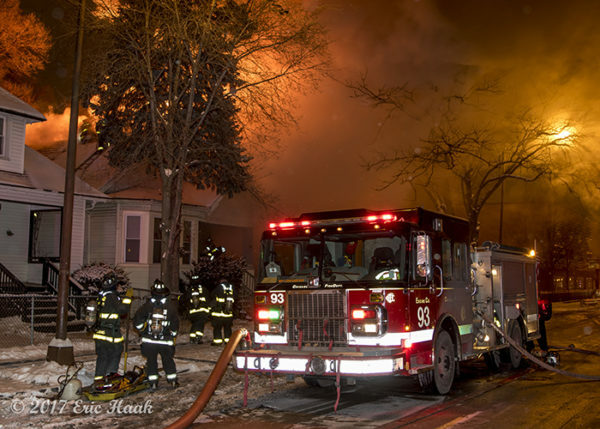 Don’t know how long they have been in D588. 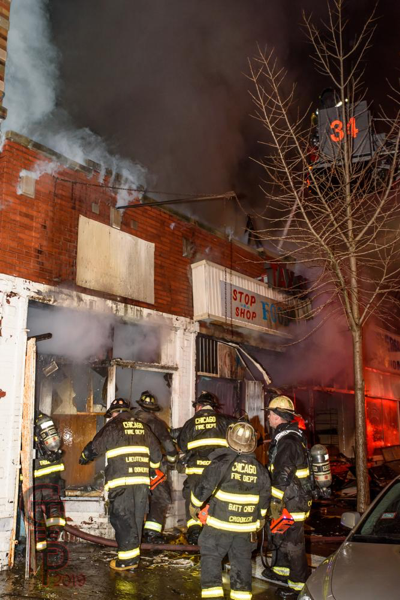 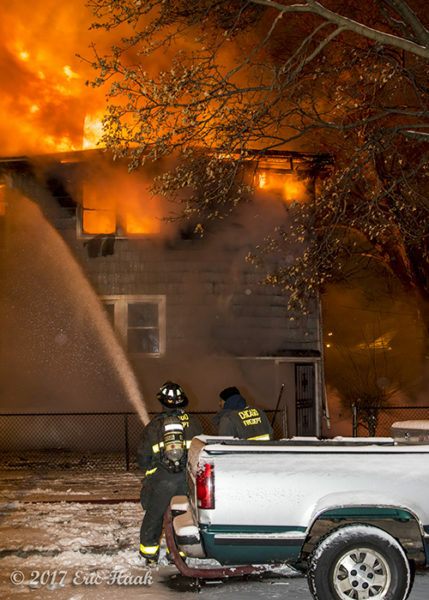 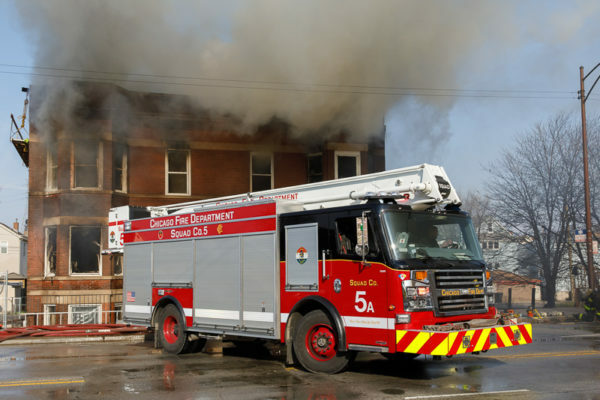 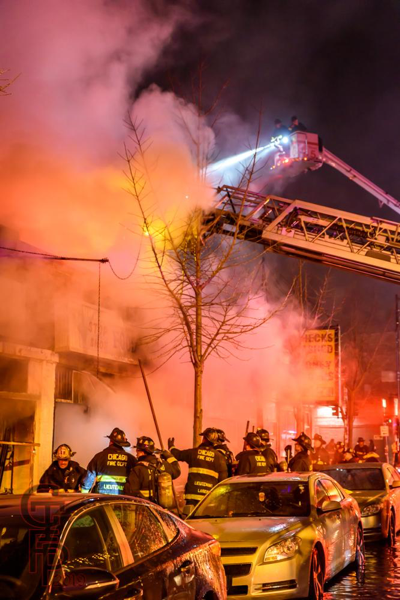 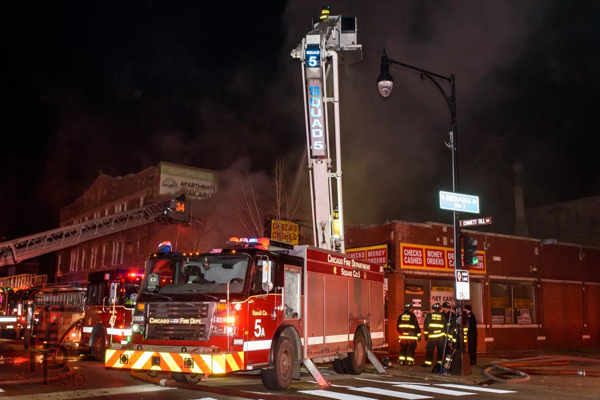 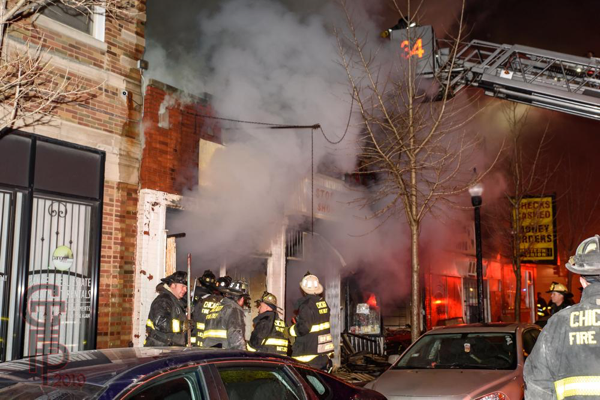 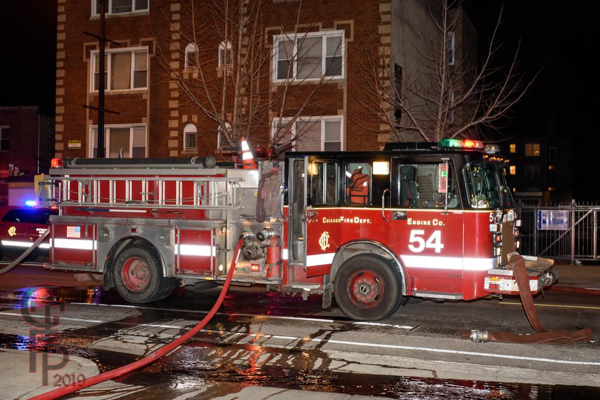 Chicago firefighters battled a commercial fire at midnight in a 75×100 building at 75th Street and Martin Luther King Drive. 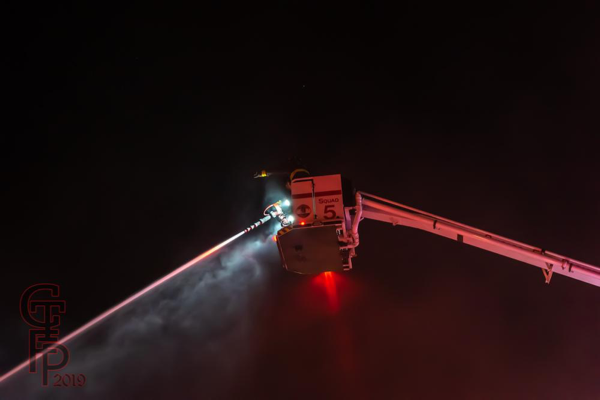 The alarm was upgraded quickly from a working fire to a 2-11 Alarm. 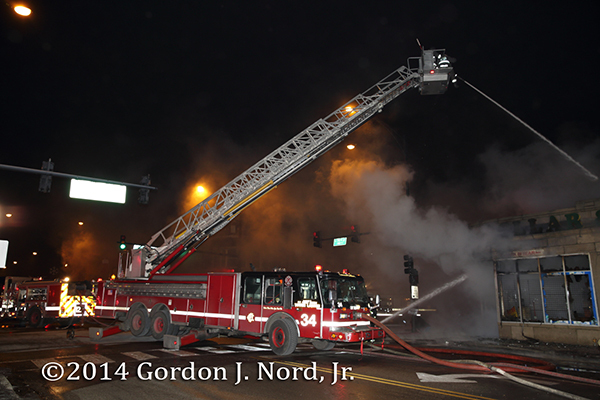 Two tower ladders went to work along with multiple hand lines. 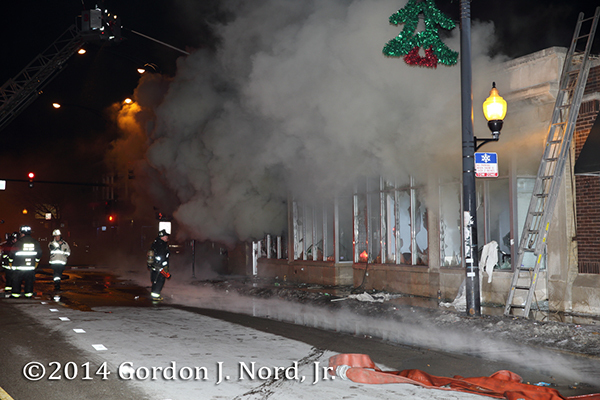 Images from Gordon J. Nord, Jr.
More from this fire can be seen at chicagoareafire.com.